From hard to find collectibles to the latest technological gadgets and hottest electronic, eBay sells it all. 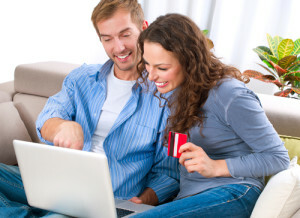 Although eBay offers a Global Shipping Program, it is limited and can be confusing for international purchasers. Big Apple Buddy is an eBay alternative. With our [su_highlight background="#fff799"]personalized shopping service[/su_highlight], there is no limit to what you can buy with international shipping. [su_highlight background="#fff799"]Big Apple Buddy is a fast, easy to use, and reliable way to buy products from the USA[/su_highlight] regardless of where you live in the world. One of eBay’s biggest selling points is that almost anyone can buy and sell on the eBay marketplace. This can also be one of the biggest difficulties for buyers. Unfortunately, the global marketplace is not only lucrative for honest sellers, but also for scam artists. In the event that you may need a refund, or the item you bought from eBay turns out to be a counterfeit, it can be a hassle to get your account credited. This difficulty will likely increase as eBay and PayPal are now separate companies. At Big Apple Buddy, [su_highlight background="#fff799"]we will only buy your item from a reputable store[/su_highlight], and we always verify you have the correct item before shipping. eBay USA sellers often do not accept returns or exchanges for their product listings. [su_highlight background="#fff799"]Big Apple Buddy offers a warranty return service[/su_highlight] for US$40 for all items purchased through Big Apple Buddy. If you would like more information about our after-sales service, please contact us here. Big Apple Buddy has partnerships with three major shipping companies: DHL, FedEx, and UPS. By working with multiple international shipping providers, we are able to choose the shipping option that will get the item to your door in shortest time, at the lowest price. As a result, [su_highlight background="#fff799"]we can save you up to 70% off international shipping rates[/su_highlight]. eBay USA sellers often only ship to select countries outside America. [su_highlight background="#fff799"]At Big Apple Buddy, we ship to over 220 countries globally[/su_highlight] and are constantly looking to expand our shipping area. 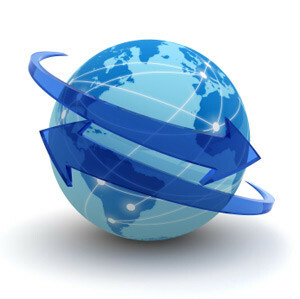 Some of the countries we currently ship to include Australia, Austria, Belgium, Canada, Denmark, France, Germany, Hong Kong, Ireland, Israel, Italy, Japan, Kuwait, Malaysia, the Netherlands, New Zealand, Norway, Saudi Arabia, Singapore, Spain, South Africa, Sweden, Switzerland, Taiwan, Thailand, the United Arab Emirates and the UK. Whatever products you are hoping to find, Big Apple Buddy can help you get them. [su_highlight background="#fff799"]We have unlimited access to US online stores[/su_highlight] and can get the latest tech items, designer handbags, or exclusive and rare items for you safely and efficiently. If you would like to learn more about our service, or would like a free shipping quote for an item, please feel free to get in touch!